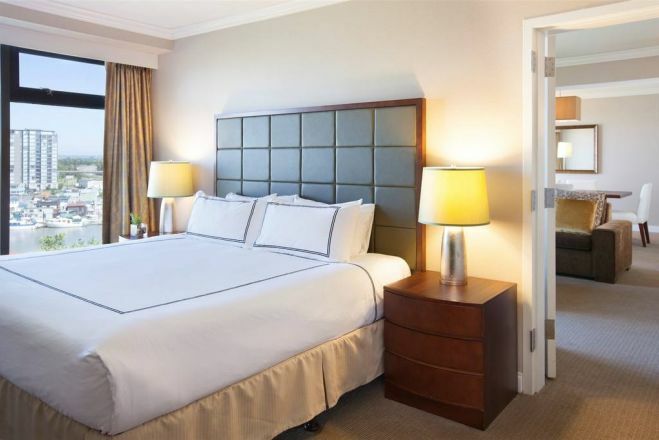 Pacific Gateway Hotel At Vancouver Airport Make your day hotel stay enjoyable and comfortable by booking your day stay at Pacific Gateway Hotel At Vancouver Airport. 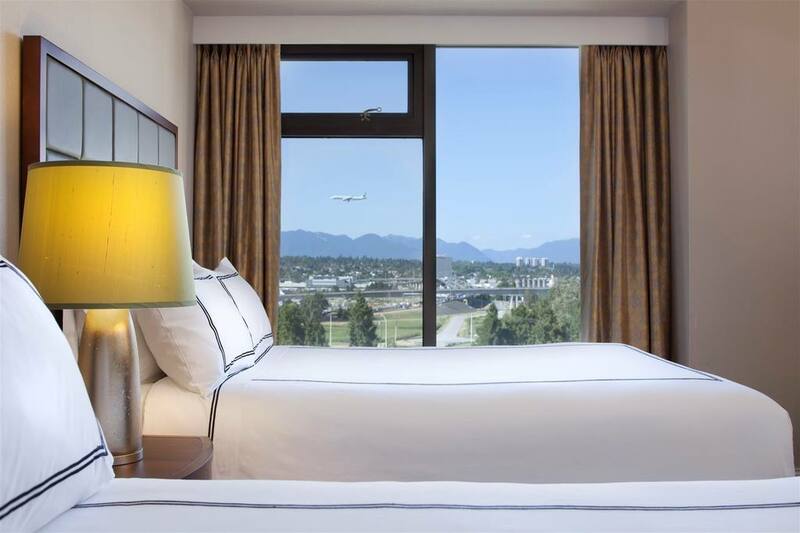 The Pacific Gateway Hotel at the Vancouver Airport offers a prime location, friendly, personalized service, and chic accommodations for transit guests seeking a hotel day stay in Vancouver. From the floating yachts in the marina to the gardens and coastal mountain range, the hotel is a gorgeous setting for your stay. 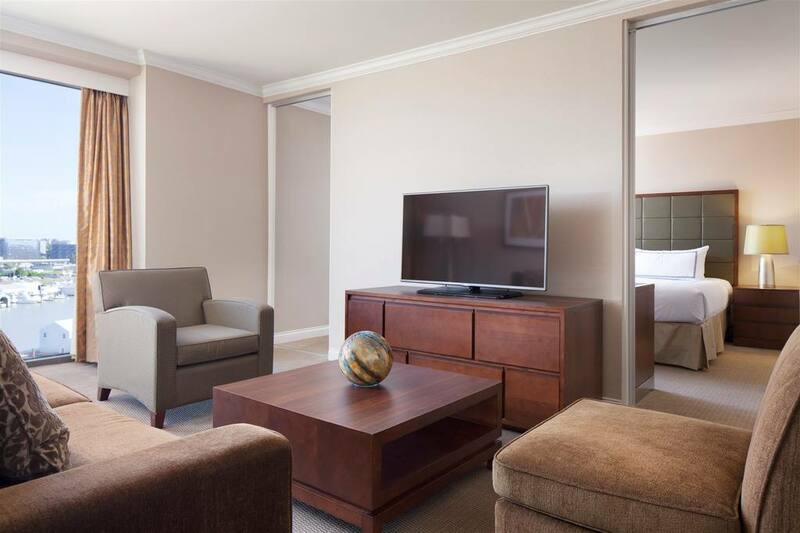 From the moment they walk through the door, guests are welcomed for a comfortable and convenient stay. The Pacific Gateway is one of the newest hotels at the Vancouver Airport, making it easy for travelers to get in an out of the airport during a long layover. 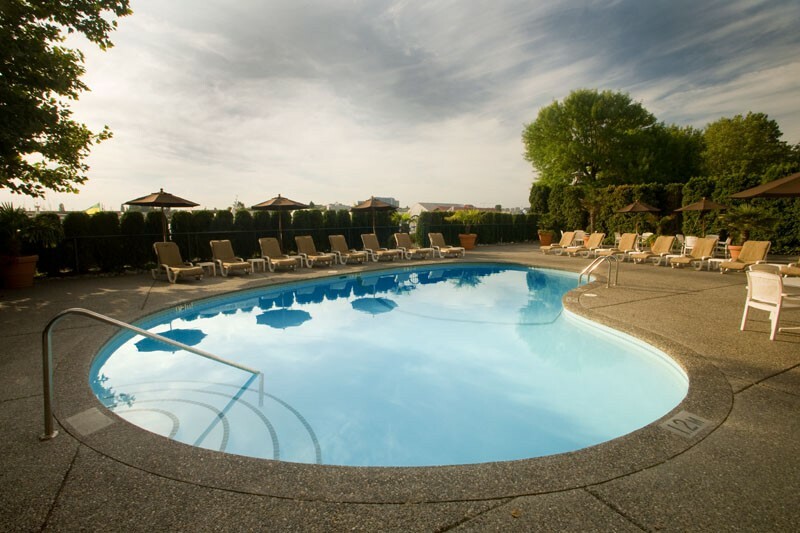 The waterfront hotel is located on the picturesque Fraser River, with views of the water and surrounding mountains. 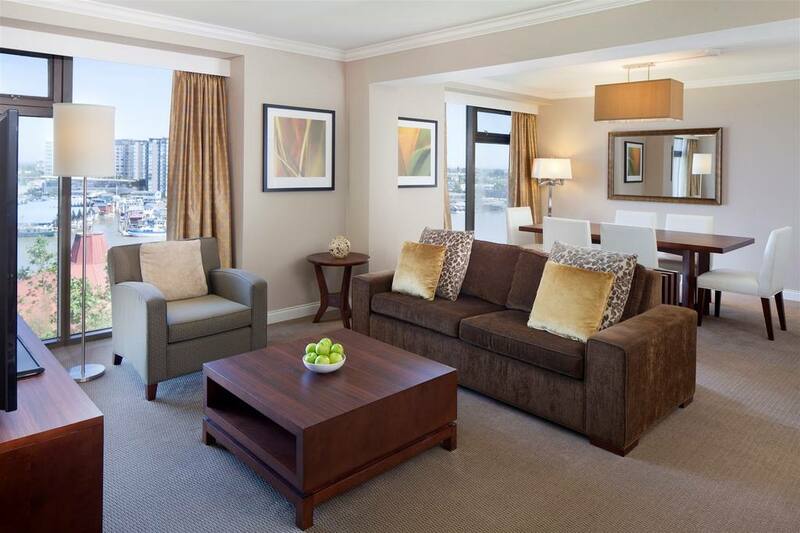 Downtown Vancouver is less than 20 minutes away, and guests can take advantage of convenient public transportation. 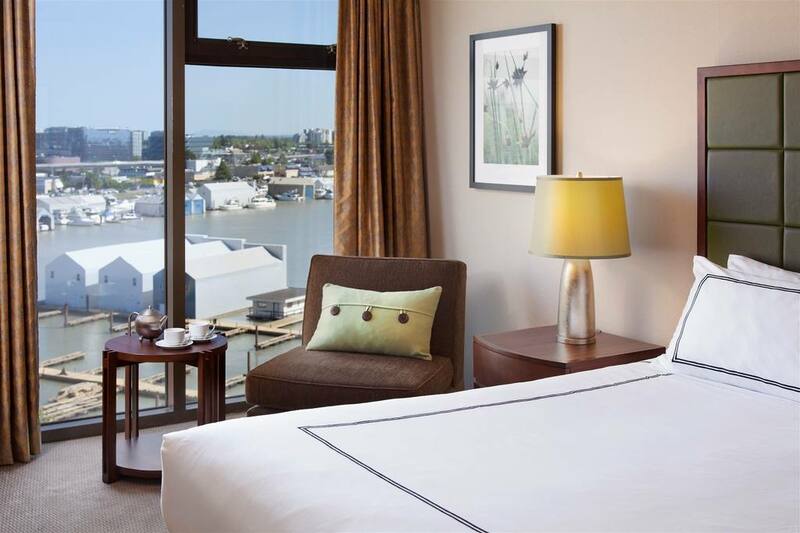 Book day use rooms at the Pacific Gateway Hotel in Vancouver with Hotels By Day today! Shuttle – 24 hours shuttle service, leaving every 20 minutes from Vancouver Airport; located only 3 minutes away. SkyTrain – Departing from the airport every 5 minutes, conveniently takes you to the city center and the Harbor. Front desk at the Hotel will provide you with SkyTrain tickets if required. 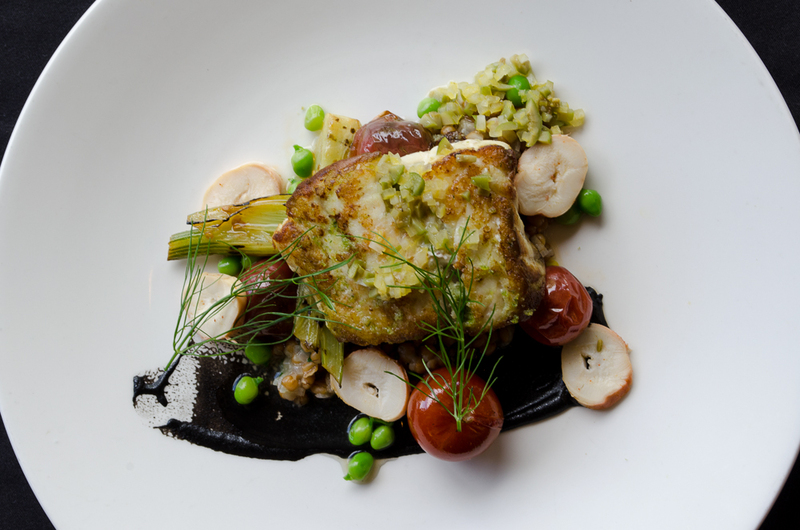 Gastown – Check out the historic Gastown for some of the trendiest scenes in Vancouver. The area is the city’s creative hub with independent artisans, designers, cafes, and nightlife that has been booming in popularity in recent years. Granville Island – Head over to Granville Island for a dose of local culture. The island is an urban oasis in the middle of the city, packed with galleries, theaters, waterfront dining, boutique shopping, and of course one of the best fresh markets in the Pacific Northwest. Vancouver Lookout – For spectacular views of the city and the surrounding area, head to the Vancouver Lookout. 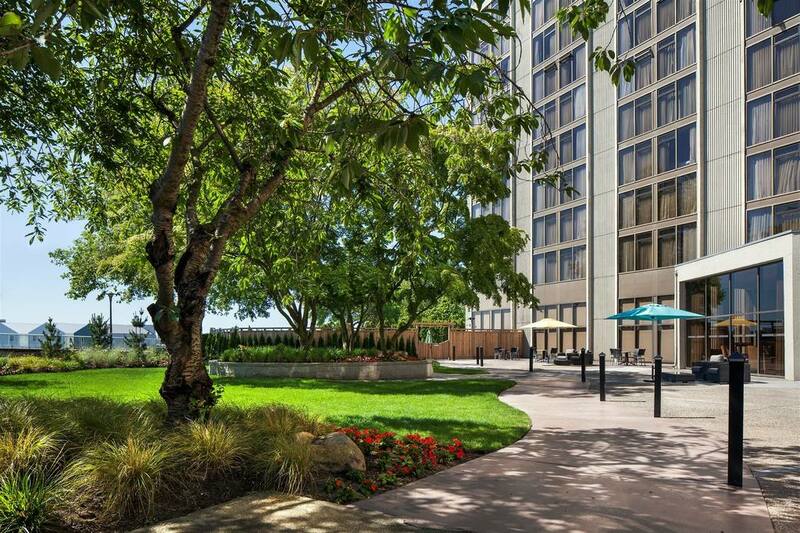 The tower has a glass elevator and a 360-degree panoramic observation deck that overlooks the North Shore Mountains, the Pacific Ocean, the skyline, and more. 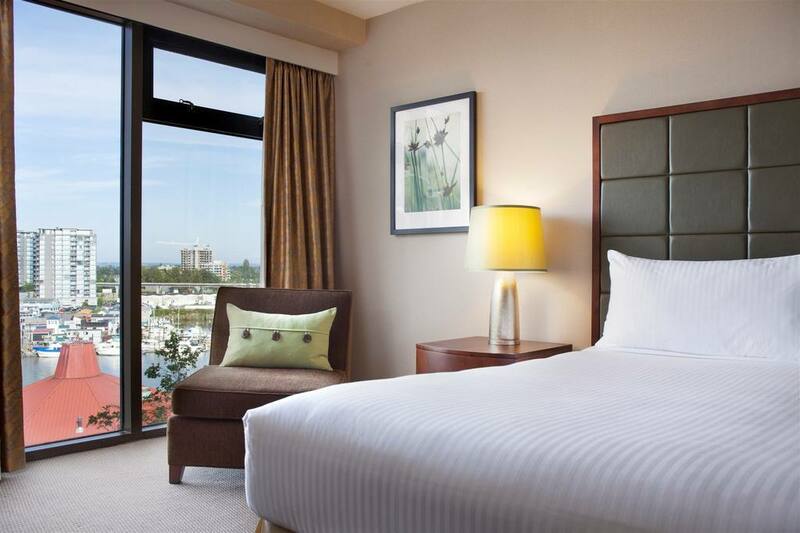 For Vancouver visitors, book your hotel day stay at The Pacific Gateway Hotel at Vancouver Airport using Hotels By Day today! Important Note - Your day room will be released if you do not check-in before 1pm local time. 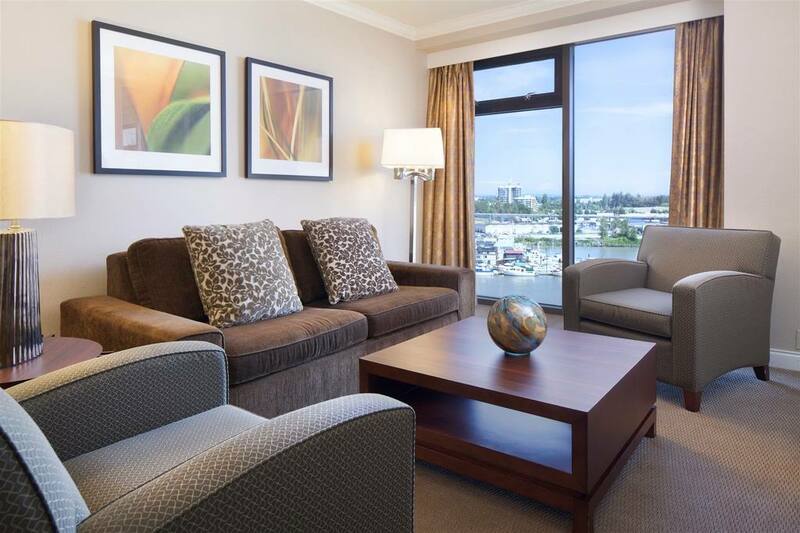 Comfortable Guest Rooms - The guest rooms at the Pacific Gateway have floor to ceiling windows to take advantage of the spectacular views, as well as contemporary design with a soothing neutral color scheme. 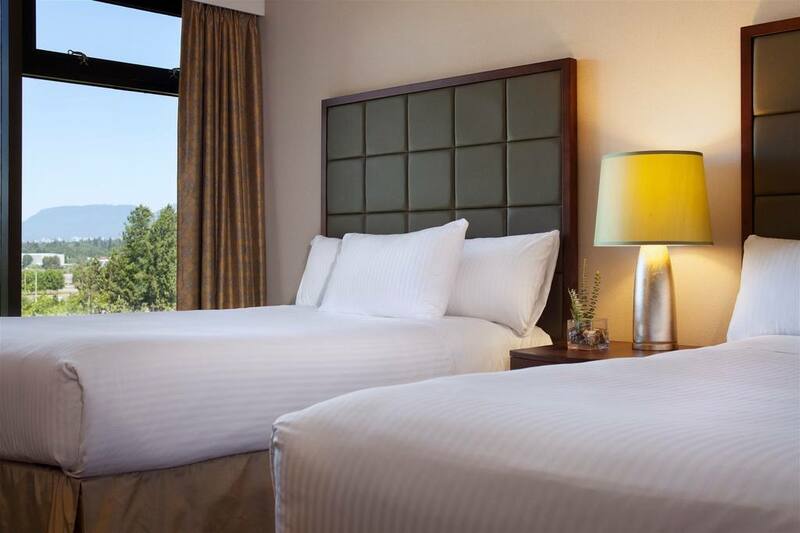 Guests can relax on the comfortable bedding, watch something on the 32 inch flat screen LCD television, or get some work done over the complimentary high speed wireless internet. 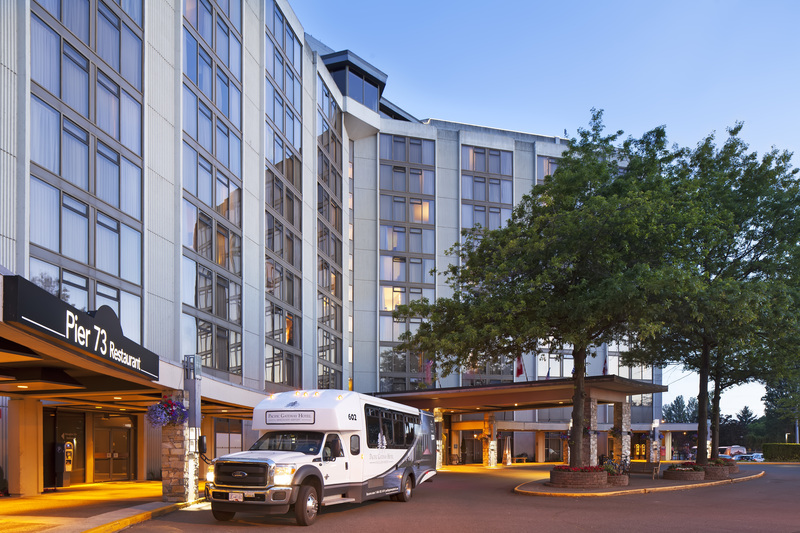 Premium Hotel Amenities & Services - The Pacific Gateway offers complimentary shuttle service to and from the Vancouver Airport every 20 minutes for the convenience of traveling guests. 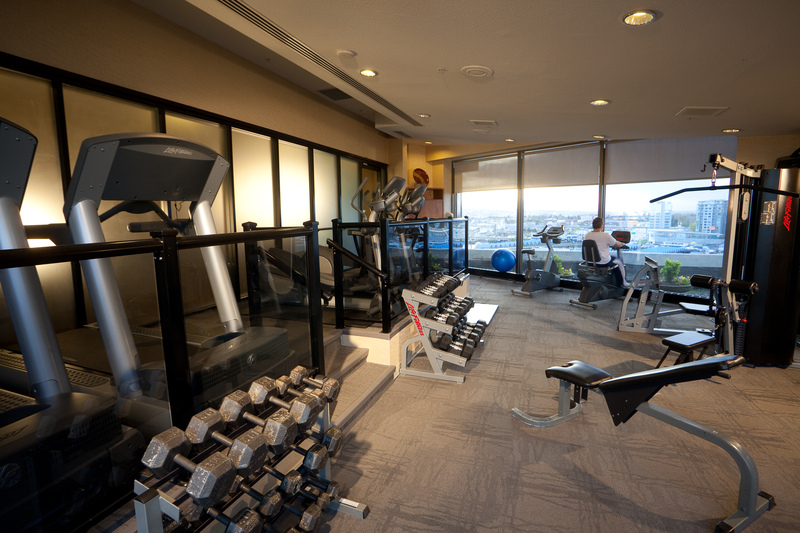 During their stay, guests can work out in the fully equipped on-site fitness center, go for a swim in the outdoor pool, or work from the self-service business center. The hotel also offers convenient services like bike rentals, laundry service, concierge services, and luggage assistance. 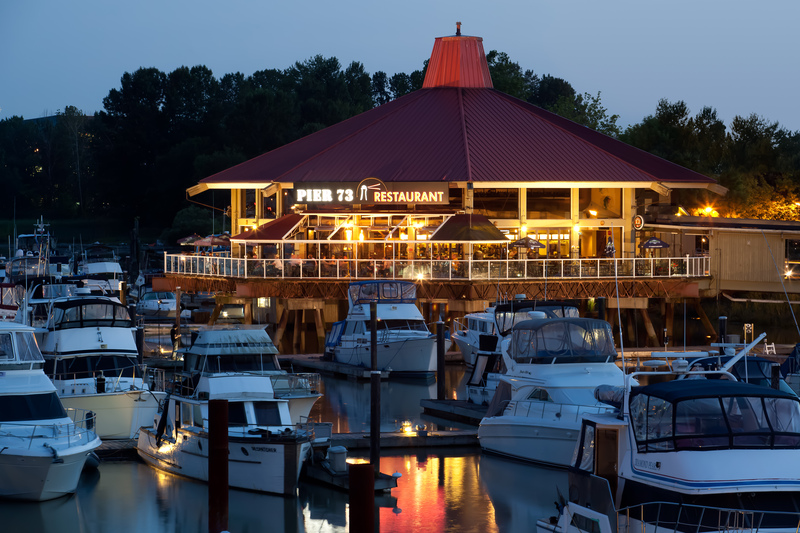 Pier 37 Restaurant & Hemisphere North - The hotel is home to Pier 37 Restaurant, serving fresh farm to table, ethically sourced, and sustainable local cuisine. The hotel also serves breakfast daily at its other restaurant, Hemisphere North, or guests can visit the on-site Barista bar for fresh Mogiana Coffee throughout the day. For guests that prefer to dine in the comfort of their room, in-room dining service is also available. Parking - CAD $12.00/ day. Valet at CAD $22.00/ day. Parking at premises of the Hotel.